The annual Lamb Peace Lecture was held at Bowling Green State University. 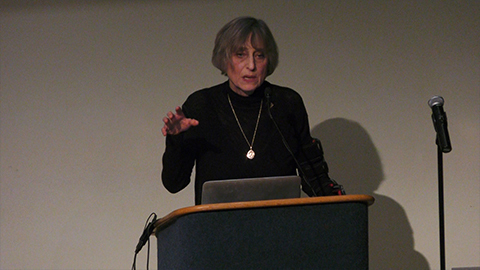 The lecture was titled “Policy, Politics and Pollution in the Great Lakes Basin: If Protections Are Good, Why Are Regulations Bad?” with Lana Pollack, chair of the U.S. section, International Joint Commission (IJC). The IJC was established by the U.S. and Canada to address issues related to boundary waters including the Great Lakes. She discussed her analysis of current threats to the Great Lakes, and how U.S. and Canadian policies can effectively address them.